Now in print and ready for shipping. Purchase your paperback or e-book now. Derek Youngs sought peace from his first breath. Born in England during World War II, Youngs’ first hours were spent in the darkness of an air raid shelter; the rest of his life would be defined by a search for the light. In 1986 he took his first intentional steps for peace on the historic Great Peace March for Nuclear Disarmament from Los Angeles to Washington, DC. He then continued walking, over 25,000 kilometres in 25 countries in 25 years, sharing stories of love and learning. As he journeyed, his manifesto turned to mantra, with the growing understanding that inner peace was the major key to world peace. 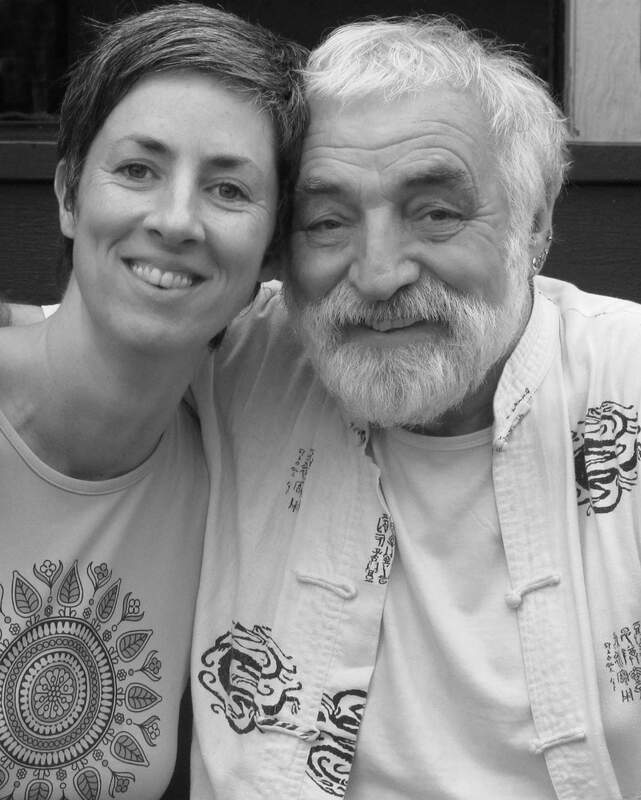 After he died suddenly in 2011, his widow Carolyn Affleck Youngs completed this memoir, the touching and humorous tale of learning to live one step at a time. Now, more than ever, we need this kind of inspiration. Youngs’ writing won honorable mention in the Pacific Northwest Writers Association literary contest in 2016, and in 2017 the book won silver in the “Inspirational Memoir” category at the Living Now Book Awards. For wholesale orders, please contact me. Derek Youngs touched hearts globally through the ripple effect of kindness as he literally walked this planet for peace for so many years. This speaks volumes to Youngs’ selfless way of living. True happiness comes when we have a purpose bigger than ourselves. I strongly urge others to read his book to clearly see, through his example, that we can all make a huge positive difference by simply living each moment with a peaceful heart. I knew Derek Youngs for over three decades. He was a gifted storyteller whose words always touched my heart. Why? Because he was a deep listener to hear the truth of each human being. He was also a committed man whose mission of peace touched thousands. In this book, these two gifts converge. It is a gift to those of us who knew him. The heartwarming story of Derek Youngs’ life leading up to a legacy for peace in the world is brilliantly co-authored by Carolyn Affleck with intensity, humour, and pure love. This beautiful story brought to life by the skill of Carolyn Affleck Youngs is a captivating blend of inspiration, education, compassion and hope. Totally engaging and skillfully sprinkled with important life lessons, I felt I was travelling and learning alongside Derek…every step of the way. It’s a must-read as it speaks to the inner traveler in us all. 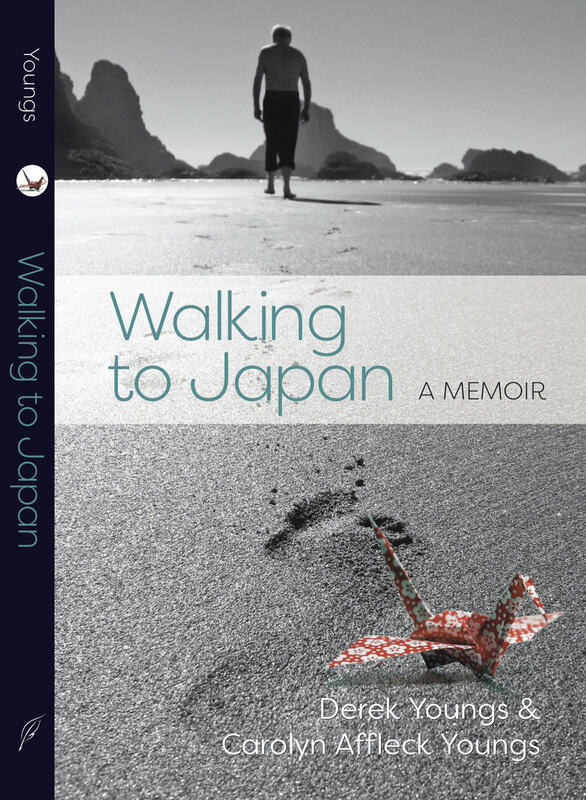 Walking to Japan is a beautifully written memoir about the life of Derek Youngs, an activist and storyteller.… The book recounts Derek’s treks around the globe as he spreads his message of peace and hope for a better future. Through his many triumphs and tribulations experienced on the road, Derek learns that the path to peace is just as much an inner journey as an outer one. Packed full of wonderful stories, ideas and insights, Walking to Japan will make you laugh, cry, think, and – most importantly – reflect on your own journey through this big adventure called life. Carolyn seems to share the gift of her husband of immediately being at home and at one—at peace— wherever and with whomever. Her presentation of Derek’s life work in Walking to Japan was truly inspirational and relevant to everyone gathered at the Spiral Sanctuary. Her readings were instantly tailored to what she found there: photos of our labyrinth prompted a reading of Derek’s work on a labyrinth, the peace cranes she encouraged us to make with her joined the ones above her head! She truly demonstrated the theme of the book that peace is a process- for everyone- and a very enjoyable one too. Thank you again for a very memorable evening. It was an absolute delight having Carolyn present Walking to Japan in our library. Her anecdotes, stories, and photos perfectly accompanied the readings she selected from the book, bringing her and Derek’s story to life for the audience. Some of the audience members had met Derek, but most of us never had the opportunity — Carolyn’s presentation made us feel as if we knew him, even just for that brief moment. Derek’s hopes for the future and realizations as time passed are lessons we all identified with. Hope she visits again! One of the best book readings I’ve ever been to! A poignant mixture of laughter and tears. What a story, what a contribution. Thank you. A gentle, truthful, compelling step to Peace. A delightful presentation. I was very taken by your presentation. I can’t wait to read the book! A delightful presentation – an inspiring story. Thank you. To hear about this man’s dedication to peace, in the midst of these times of war gives me ballast. 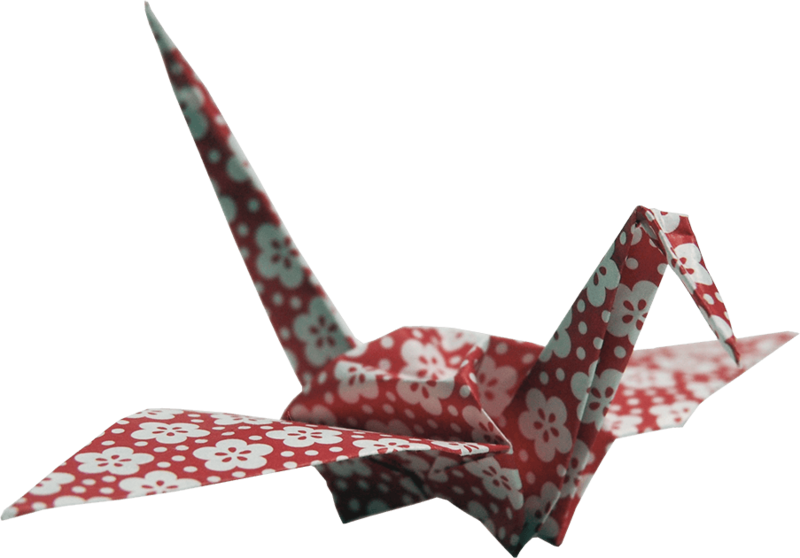 Your presentation was so well organized, and the readings, accompanied by the photographs and the creation of the peace crane provided such a nuanced richness that I was truly entranced! Your presentation was exquisite. Your storytelling at the beginning of the evening was so heartfelt and authentic, and the passages you read gave an inspiring overview of Derek’s journey and you honoured him with such grace, humour and love. The slide show provided deeper insights. Thank you. I was struck with insights at so many points during the evening. Your husband was remarkable, but he reminds me that I too can be remarkable. Thank you for the most inspiring evening. Your honesty, humour, and dramatic reading made it a most entertaining event as well. Between 1986 and 2011, Derek Walker Youngs devoted much of his life to peace. Born in 1940 during a World War II air raid, his first steps for peace were taken on the Great Peace March for Nuclear Disarmament across the U.S.A. He went on to found the Peace Walker Society, and traversed more than 25,000 kilometres in 25 countries, each day walking in trust and faith, not knowing where he would sleep or find his next meal. He appeared as an international news item in print, radio and television media, and shared his stories of love and learning with people across the globe. Carolyn Affleck Youngs is a photographer, walker, and grammar queen. Her pilgrimages include the Camino de Santiago in Spain, and the 88 Temples in Japan. She has walked all the city streets of Vancouver, Canada, and plans to walk across the country one day. Another day, she’ll walk from John O’Groats to Land’s End in Britain.